Project Description: Faced with an aging duplex pump station that handled all of the City’s wastewater and a rising number of wet weather overflow violations, the City of Carlton engaged Westech Engineering to design a new 4.5 MGD pump station. The new station consisted of two large wet weather pumps and two smaller dry weather pumps. 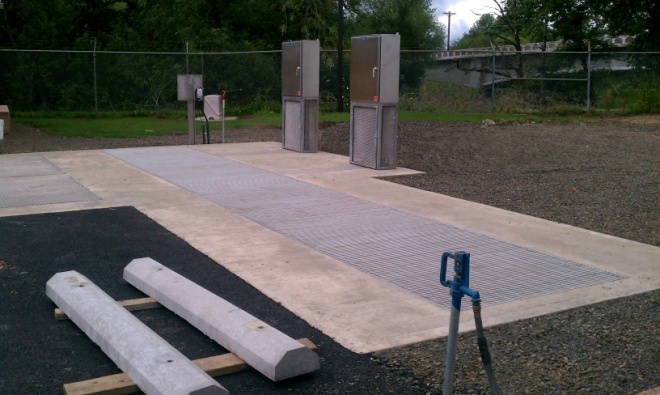 Located on a bench of the North Yamhill River, the new pump station was designed with submersible pumps to prevent damage from occasional flood conditions that had traditionally damaged the old pumps. 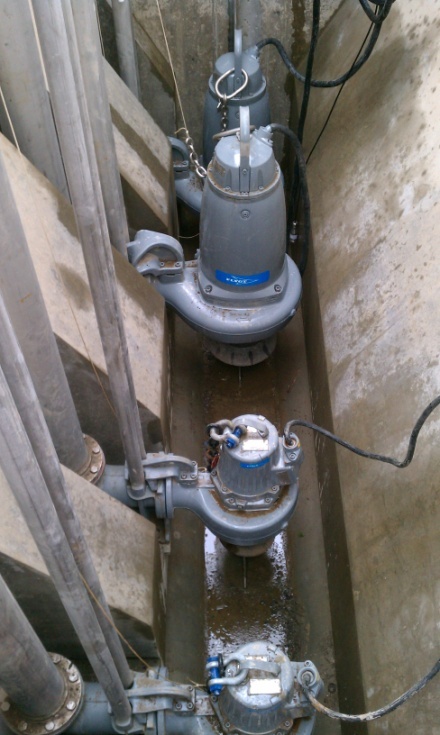 The new pumps were equipped with non-clog impellers to reduce the maintenance associated with occasional ragging. The new wet well was designed as a self-cleaning trench style facility, a design that utilizes the scouring energy of incoming flow to re-suspend settled solids and purge the wetwell. The larger discharge from the new station required a new 2,700 LF 12-inch diameter force main to deliver flow to the City’s facultative lagoons. This new line required a 24 diameter bored river crossing under the North Yamhill River. Rather than abandon the City’s existing 10-inch force main, Westech designed the upgrade as a dual-pipe system whereby the smaller pumps utilize the smaller force main during dry weather periods. The larger pumps and new force main are activated to handle larger flows during the wet weather season. Additional project features included the use of high efficiency submersible pumps with variable frequency drives, a new pump station control building, an auxiliary power generator and a telemetry and SCADA system to monitor the new station. Westech provided the City with planning, design, construction administration & commissioning services for the complete reconstruction of the station.